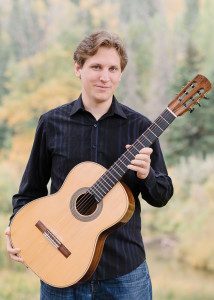 In 2015, Trevor Cooper was one of 14 internationally selected guitarists to study in the III Master in Classical Guitar Performance at the University of Alicante in Alicante, Spain.Trevor Cooper There he studied with Grammy award-winning artists David Russell, Manuel Barrueco (guitar), Paul O’Dette (lute/early music), Jose de Eusebio (conducting) as well as Paul Galbraith, Pepe Romero, Fabio Zanon, Ignacio Rodes, Roberto Aussel and neuroscientist Victor Candia. He is currently finishing a Masters at the Universitaet Mozarteum in Salzburg, Austria, with the great American guitarist Eliot Fisk. At 17 Trevor was accepted into the University of Toronto Faculty of Music Performance program. There he began studying guitar with Dr. Jeffrey McFadden and performance practice with Dr. Kevin Komisaruk (Palliative Care/Organ/Keyboard). During this time he saw increasing local success, including the Guitar Trophy at the Greater Toronto Kiwanis Music Festival, and national recognition with 1st Place in Guitar at the 2013 FCMF National Music Festival. After receiving his Bachelor of Music in Perfomance he travelled to Seville, Spain, where he studied with Spanish guitarist Francisco Bernier. Born and raised in Edmonton, he started playing guitar at a young age studying locally with Michel Forestier. Apart from the guitar and music, Trevor enjoys philosophy, cuisine, politics, nature, travelling, hockey and speaking Spanish and German. He currently plays on an Alector guitar (Thessaloniki, Greece) with Knobloch strings.